�����The D. Brent Pogue Sale Part IV is a little over a week away and the excitement has been building for months. How much will the 1804 Dollar bring? 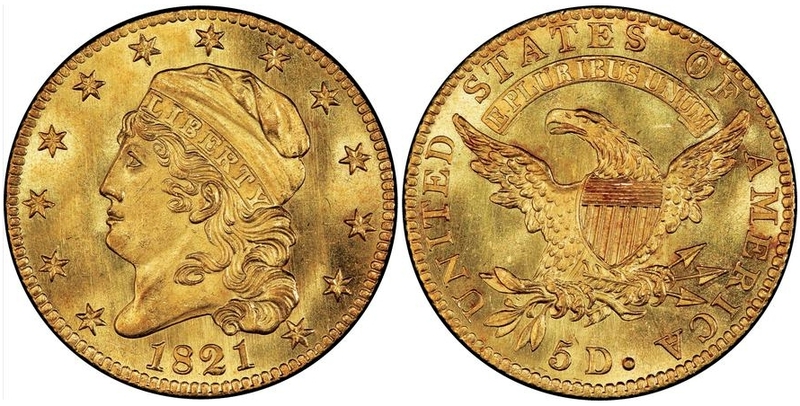 What about the 1822 Half Eagle? These two immensely noteworthy coins are definitely recognized as the class of this important sale. 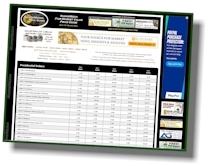 However, there are plenty of other rarities that will realize prices that should amaze the entire numismatic community. 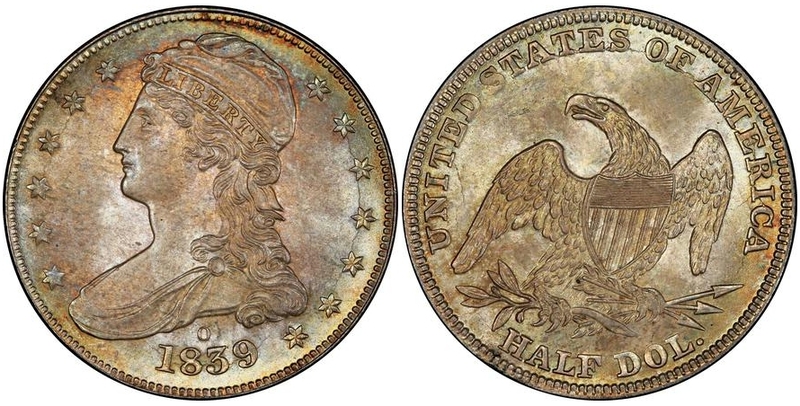 �����The 1839 O Capped Bust Half Dollar is the finest known with a solid pedigree; it is graded PCGS MS67 and has a current listed Market value of $140,000, but this is from outdated information. �����In the Half Eagle series the 1821 Capped Head is graded PCGS MS66+ and is also the finest known for the date. 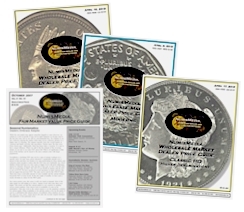 According to the population reports there are only five Mint State coins certified by PCGS and NGC combined. Below are a few more coins that serious collectors and investors will likely consider adding to their current holdings. �����The metals continue to bounce up and down; one thing for sure is that physical demand is stronger than paper contracts. When the market finally realizes that a promise to deliver physical Gold is quite different than what may be in inventory, the value of Gold should increase dramatically. Gold is currently at $1,273.90 and Silver is $17.16. The new 2016 Mercury Dime Gold coin is trading at $225 OGP, $250 in SP69 and $300 in SP70. 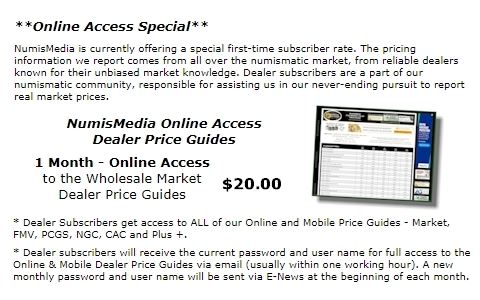 �����There are a lot of changes in this week�s LD Wholesale Market Dealer Price Guide. Copper coins from Half Cents through the early Lincoln Cents are showing a long list of adjustments, some higher and others lower, according to the latest dealer sales. The 1793 Large Cent Vine & Bars is higher in XF40 and AU55, while the 1794 Head of 1794 is lower in VF20 and MS62. Indian Cents and Lincoln Cents are in demand however, to create this demand it looks like dealers have been willing to sell coins at a slight discount, especially for MS65 & MS66 coins. Where we typically find advances is for the coins that have low populations and we do not see those trading very often.